Attention all Console Gamer Singapore! 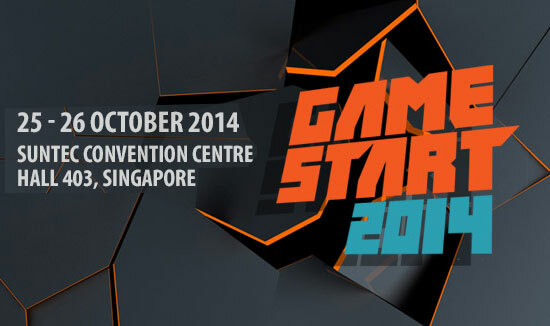 There will be a coming gaming event, GameStart 2014 happening between October 25 to 26 at Suntec City Convention Centre Hall 403. The main exhibitor will be Sony Computer Entertainment HK (SCEHK) and will be showcasing exciting titles for the PS4, PS3 and PS Vita. There will be hands-on previews games releasing in 2015 such as Bloodborne, The Order 1886, Until Dawn and Guilty Gear Xrd. Game producer like Masaaki Yamagiwa for Bloodborne, and Junichi Yoshizawa, Producer for Freedom Wars will be there to fans and talk about their games in that event. Visitors can expect good promotions on PlayStation 4 and PlayStation Vita games. There will also be exclusive deals at the SCEHK booth which early birds will receive special items like the Xperia Z3 (first three customers) for getting the PS4 console, special Toro PS4 HDD Covers (first 10 customers per day) and PlayStation T-shirts (first 50 customers per day). There will also be console offers by trading in your old consoles for a $100 discount off to get new PlayStation 4. 2K Asia will be bringing a preview of their highly-anticipated 4v1 game Evolve (developed by creators of Left 4 Dead) and try out. There will also be Cosplay competition on the 26 Oct at the event organised by neoTokyo Project. To attend this event, you have to buy ticket and the first 300 visitors each day will receive a ‘Random Loot Bag’ which contain anything from limited edition T-shirts to games, posters and other exclusive items. Start: Saturday, 25 October, 2014 12:00 p.m.
End: Sunday, 26 October, 2014 09:00 p.m.